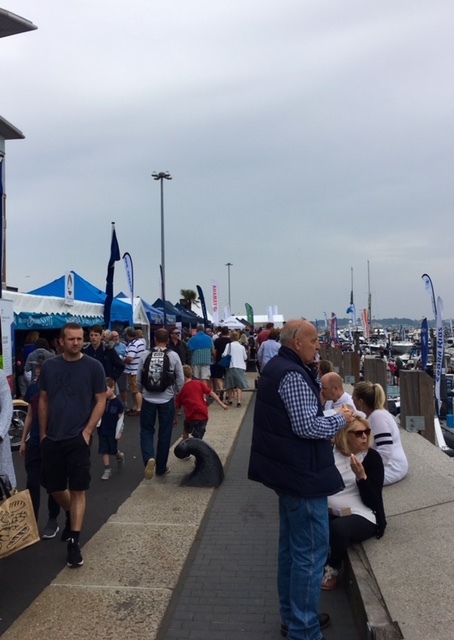 This year is the fourth outing for the Poole Harbour Boat Show, a small but cracking little boat show situated, yes you guessed it, in Poole Harbour, Poole, Dorset. The Poole Harbour Boat Show is run by the Poole Harbour Commissioners, it’s a free event running from Friday 8th June until Sunday 10th June 2018 starting at 10:00 and finishing at 18:00. Exhibitors have stands situated along the quay and they are mostly boating relating exhibitors, hardly any tat-stands unlike some of the shows. There are lots of small, local businesses too which is lovely to see. Down on the pontoons there are a wide selection of boats, both sailing and motorboats, including a Sunseeker to tour around. Other activities include demonstrations from the RNLI, Border Force, Royal Navy and jet skis. 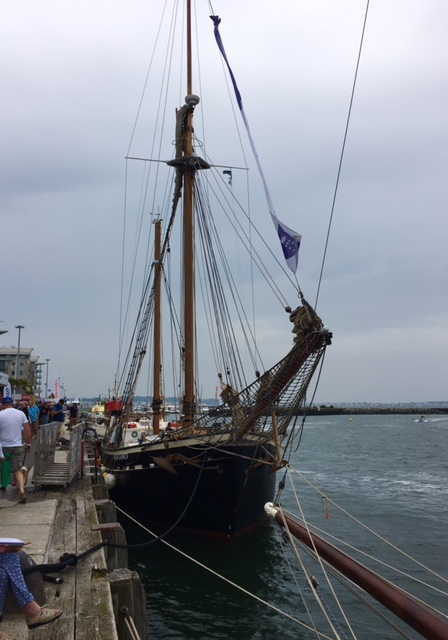 There are tall ships to look at and a live music stage with bands playing throughout the day. There are plenty of quay-side cafes and restaurants at which to re-fuel, and parking couldn’t be closer. 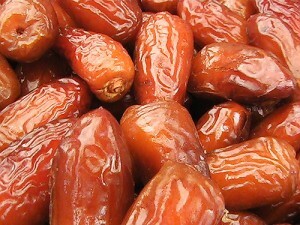 Lovesail.com is a global online dating and social networking site. We have been growing our sailing community since 2004 and have a database full of just sailing enthusiasts which meet for dating, friendships and crewing opportunities. 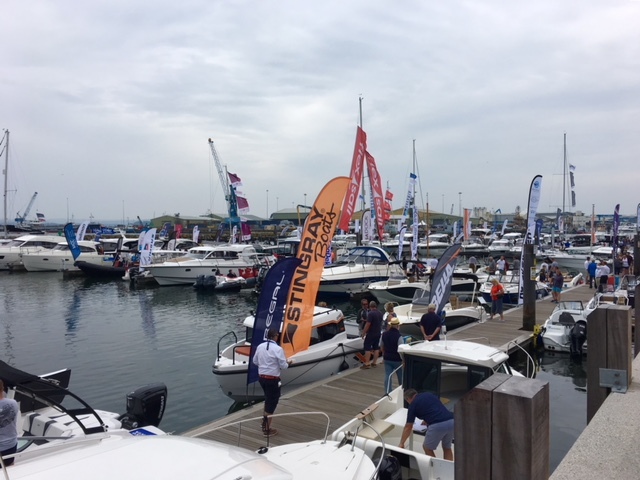 Southampton Boat Show 2015 runs from Friday 11th September until Sunday 20th September at the Mayflower Park, Southampton. This year I thought I would list some of the free attractions on offer at the show. 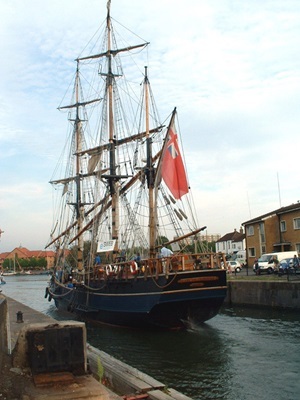 The Earl of Pembroke is a three-masted tall ship which was built in Sweden in 1945. She was used for trading timber in the Baltic before undergoing a complete restoration in 1985. The ship is now an exact replica of the HMS Endeavour, the ship that took Captain Cook to Australia on his first expedition. The Earl Of Pembroke is now used for private hire and has also been used in several films and television series such as Hornblower, Treasure Island, Longitude, Moll Flanders and The Count of Monte-Cristo to name but a few. Southampton University have put together rockpools and tanks filled with fascinating creatures that are found in our local waters. Also on display is a dark-room filled with coral and anemones to show off their natural ability to emit fluorescent light. Scientists and students from Ocean and Earth Science at the University of Southampton will be on hand to answer all your watery questions about the oceans. Stand A134. 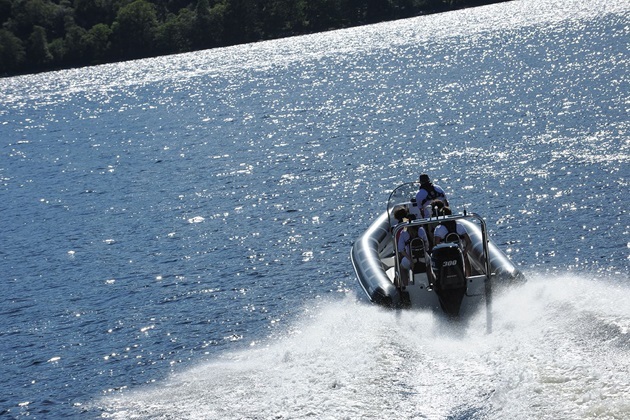 Visitors can have the chance to get out on the water at the Show on a RIB. The 7.8m RIB will whisk visitors around Southampton Water completely free of charge, provided you are over 8 years, of a certain height and promise to wear one of their lifejackets. To book a place visit the Suzuki stand E056. For the younger adverturers amongst us, the adventure river canoe ride gives little ones the chance to experience what it’s like to take their canoe down a fearsome winding river! Height restrictions may apply and explorers may get a little wet. Hunt out stand A133 for more details. The All Wales Boat Show 2015 runs for 3 days from Friday 8th May until Sunday 10th May. Located in Pwllheli on the picturesque Llŷn Peninsula the boat show will be one of the very first events to take place at Plas Heli, the newly constructed Welsh National Sailing Academy and Events Centre. 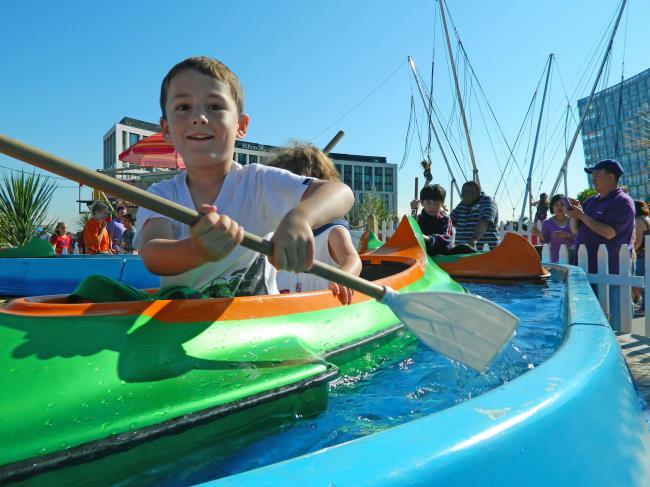 The show, in its fourth year, is a festival of celebration for water-based activities. At the All Wales Boat Show 2015 you will see a range of exhibitors, show events and have-a-go activities for all the family to try. So a great day out for all sailing enthusiasts, watersports-lover and visitors looking for a fantastic day. Bear Grylls Epic will bring a brand new fitness concept to the All Wales Boat show 2015. The Bear Grylls EPIC fitness sessions will be held on the beach throughout the course of the show. These sessions are designed and inspired by adventurer Bear Grylls to change the way that you think about exercise. The BG Epic training sessions are suitable for all ages and fitness levels of visitor, and are held by fully qualified, experienced and insured fitness instructors. So why not come along and try out this new and effective way to get fit on the stunning beach at Pwllheli. 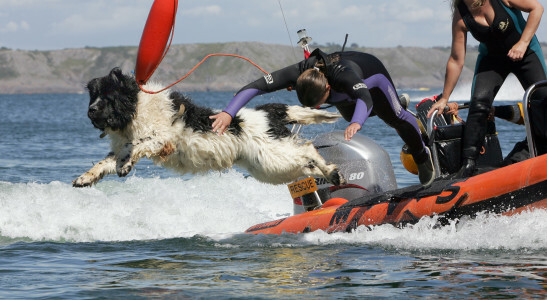 Come along to see the Newfound Friends at the All Wales Boat Show 2015, and watch these talented rescue dogs in action. 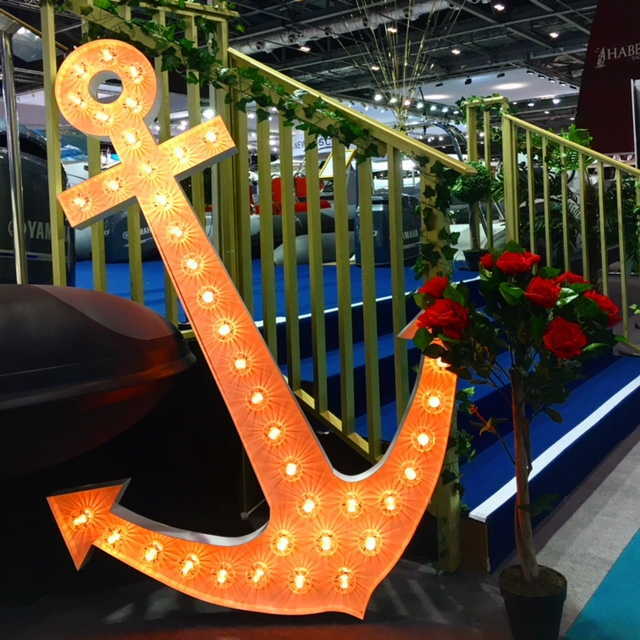 Boot Dusseldorf will see some 1600 exhibitors and over 240,000 visitors, with 20% of these being foreign visitors. 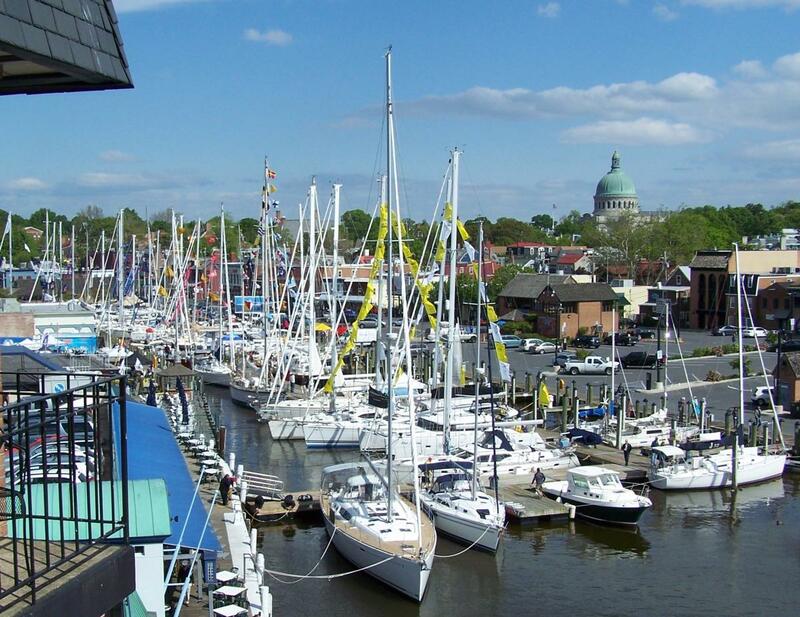 Boot Dusseldorf is marketed as a trade fair showing new developments in the yacht and also water sports industry. 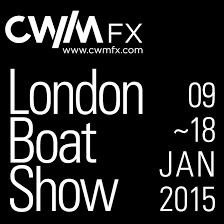 Sailing and motor yachts are the biggest attraction with diving the next most visited section of the exhibition. Dusseldorf is located inland and all boats and yachts are undercover, unlike the Genoa Boat Show in Italy, which is of a comparable size but more of a traditional boat show. If you are considering a trip to Boot Dusseldorf then the city of Dusseldorf itself is well worth a visit too. Dusseldorf is located on the Western side of Germany in the Northern Rhineland on the banks of the Rhine river. Essen is to the North and Cologne to the South. With a population of nearly 600,000 inhabitants Dusseldorf is a thriving international business and financial centre famous for it’s fashion and trade fairs. Indeed Messe Dusseldorf (the venue of Boot Dusseldorf) claims to hold one fifth of all the worlds premier trade shows. The Königsallee Avenue or Kö for short, is Düsseldorf’s most popular shopping mile and a must for visitors. The Kö is one of the most beautiful and chic shopping streets in Europe. The Old town or Altstadt also deserves some time. This area is dubbed “the longest bar in the world” and boasts over 260 pubs and traditional brewery taverns. A visit to the Zum Uerige on the banks of the Rhine should feature on the itinerary. Here you will be served Düsseldorf’s famous dark beer, Altbier, and a plate of the local Rhineland cuisine, Rheinischer Sauerbraten, a beef roast marinated in vinegar and spices served with gravy and raisins or maybe perhaps some Himmel und Äd (Heaven and Earth) black pudding with stewed apples mixed with mashed potatoes.